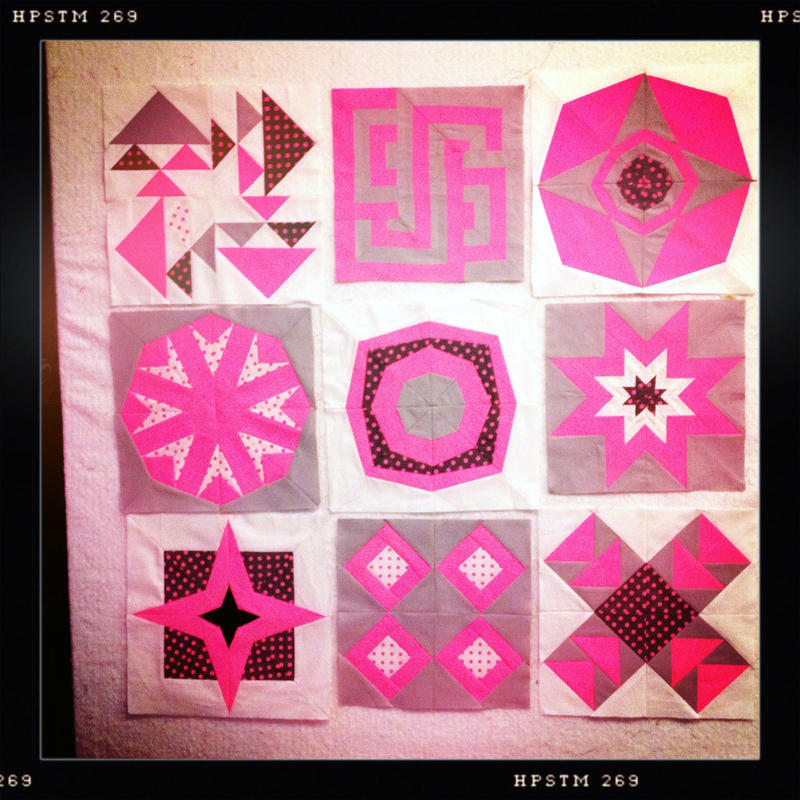 This pattern was fun to make and I think reflects a couple of the other blocks already in the quilt. 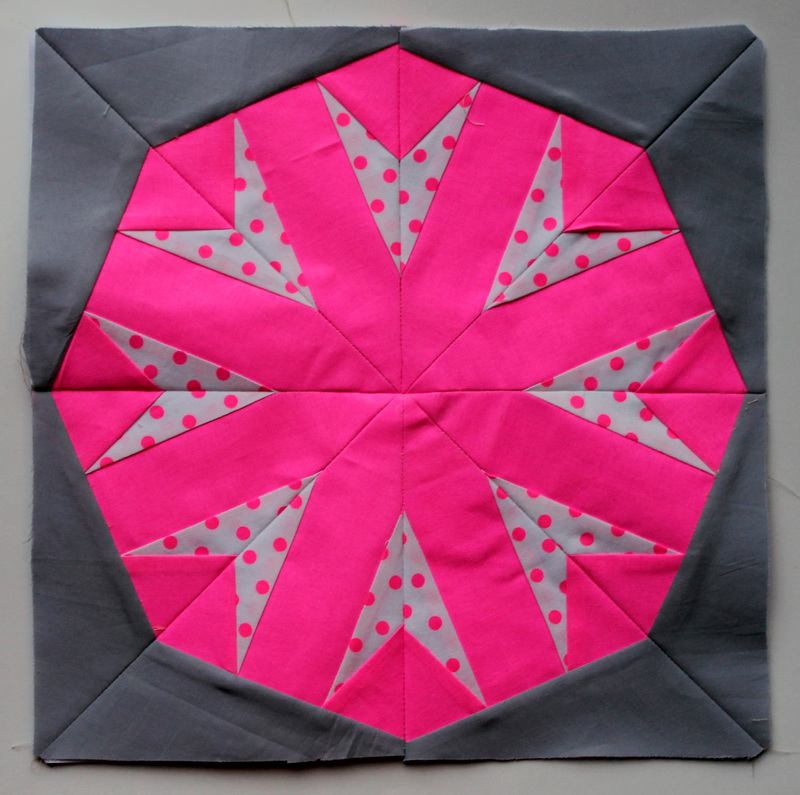 You can find a free copy of the pattern I designed here…WQ Atomic Star block. 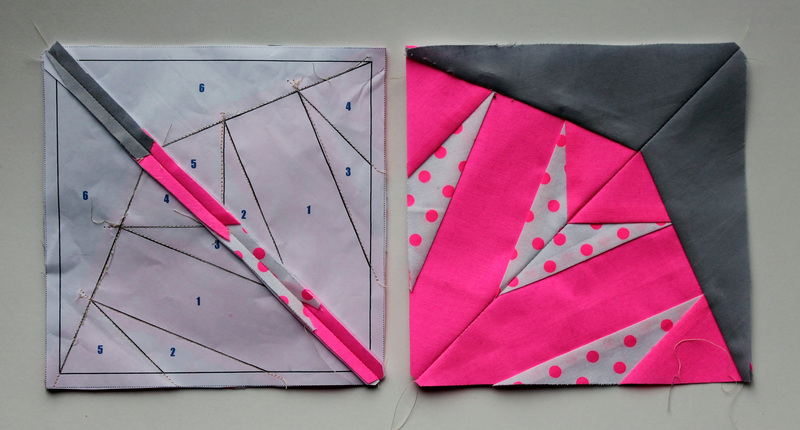 So now all of the neon blocks are done and all that is left to do is the maths for the sashing – made a little complex because the blocks finished up at 12 1/2 inches and 11 inches. In the beginning when I decided to make some friends for the two 11 inch PMQG orphan blocks I found, I did not realise I was making the maths harder. Augh…. I am sure it will be worth it in the end but for now I have my calculator and some graph paper out to see how to make this sucker work. Wish me luck! The pattern is a free one that comes with the EQ system, so I need to check copyright and see if I can share it with you. If I can, I will put it one the paper piecing pattern page in the coming week. 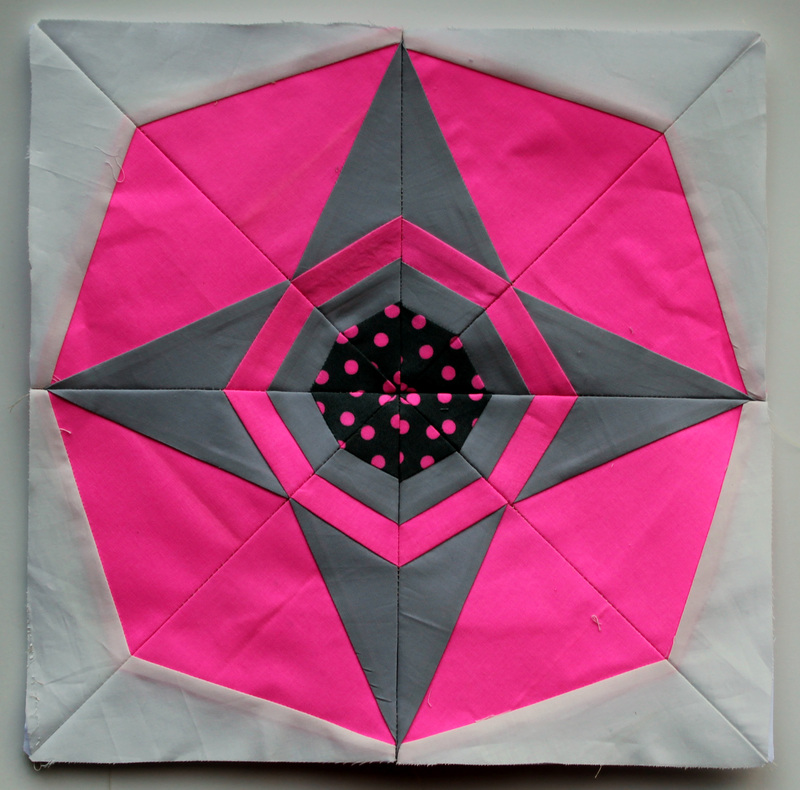 So next week I will post the last neon block for this quilt, but do not despair, as there is more neon in my future. 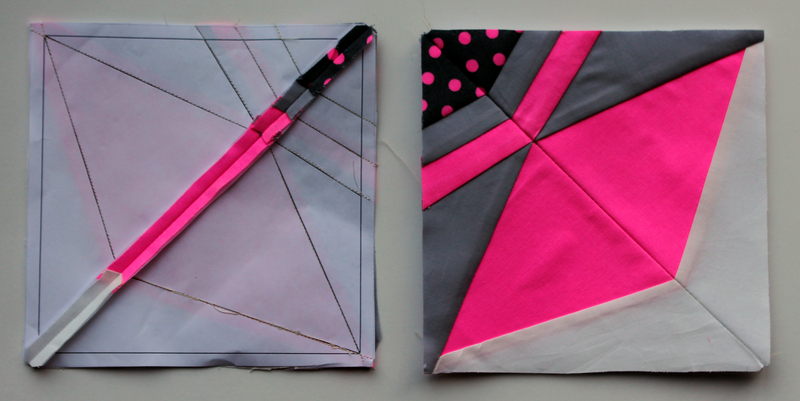 I have one other orphan Neon quilt to put together for the Portland Modern Quilt Guild…. you have been warned.